A walking culinary adventure through Colombia's capital! Days & Start Time: Monday to Friday 9:30 am - 12:30 pm. Our Bogotá Street Food Tour takes you through the La Candelaria neighborhood, the beating heart of Colombia's capitol city. This vibrant, colorful, and fascinating neighborhood gives you the best of what Bogotá has to offer - culture, food and fun! Join our intimate adventure that allows you to interact on a personal level with locals as we take a deep dive into the history, culture and cuisine of Colombia. You'll experience traditional treats such as tamales and arepas, as well as the unique Colombian flavors of ajiaco, chocolate santafereño, and chicha. We also explore a colorful neighborhood market and taste the exotic and mouthwatering fruits and fresh-squeezed tropical fruit juices. We have taken the time to find the tastiest examples of food and most fascinating stories of the people to ensure you get a true sense of Bogotá! We do not run tours with only one person, if you are a single traveler we try to accommodate your spot with a group (depends on availability). An exciting glimpse into the best of Bogota's busiest market! 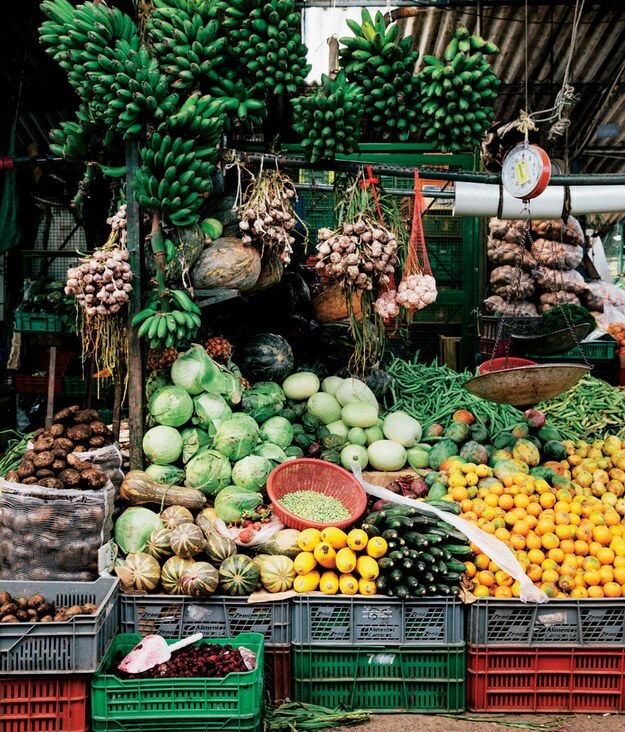 Join us on our market tour to see one of Latin America's most interesting markets. Whether you're in the looking for exotic fruits, a magic love potion, fresh herbal teas, a warm bowl of sancocho, or tropical flowers like you've never seen before, these markets have all bases covered. Mingle with locals who will share stories about the city, its people, and their fascinating food culture. Learn how Colombia's tropical and indigenous flavors blend with colonial Spanish cuisine to create inspirational national dishes. You'll get a glimpse into the Bogotano's way of life and savor several tasty Colombian culinary delights along the way. It's the perfect recipe for a tasty and truly memorable day! If you are looking for a different day in the market please let us know at tours@delamesa.com.